CPDAX support KRW depoit account. Please check Listing events and details. [News] Vote for PIBBLE and receive up to a 200% Airdrop! Every user will get up to 200% Airdrop who vote for PIBBLE during the Project5 event. Please Join the great event! Introduces a new roadmap has been supplemented. [Alphatest]Alpha Testers, thank you very much for building Pibble ecosystem with us. Hello, this is Pibble. We are extremely grateful to those that helped with testing the close Alpha version during Q4 in 2018. The recruiting process for Pibble’s Android-alpha version which was originally planned in 4Q 2018 is also in progress. Details on the collaboration with Polo Foundation after the Global Gift Gala. Let's talk at PIBBLE channel! With 36 years of experience at the Bank of Korea and the Financial Supervisory Service, Mr. Lee joins Pibble to integrate transparency in existing national policy. PIBBLE had successfully participated in Asian Film Market 2018, an auxiliary event of the 23rd Busan International Film Festival taking place at Bexco, Busan. Greetings from the PIBBLE team! PIBBLE participated as a platinum booth project in the Huobi Carnival which was held for two days from August 2 to 3. The platinum booth was attributed to six projects (among a total of 40 projects) including PIBBLE. Hanbitco is a Korean exchange for which Korea Blockchain Associate’s Vice Chairman is serving as the CEO. As Hanbitco is one of 12 exchanges that passed the self-regulatory review last July, we believe Hanbitco has reliable servers and strong security. On July 24, 2018, blockchain based virtual gift cryptocurrency, Gifto and blockchain social media service PIBBLE entered into a MOU to establish a strategic partnership. PIBBLE is pleased to announce news of its very first listing, as well as our listing promotion news. There are many partners in the PIBBLE project that we are going to complete. Among them, we try to introduce PIBBLE’s main partners we want to let you know. 블록체인 기술이 새로운 기부문화를 만들어 나갈 수 있을 거라는 기대감이 커지고 있다. 모든 거래 기록이 기록되어 내가 낸 기부금이 실제로 도움이 필요한 사람들에게 제대로 전달됐는지를 확인할 수 있는 방법이 생기기 때문이다. 블록체인 기반 소셜 미디어 플랫폼 피블(PIBBLE)은 지난 2일(현지시간) 런던에서 열린 세계적인 자선행사 '더 글로벌 기프트 갈라(The Global Gift Gala London)'에 한국 최초로 초대받아 이보람 피블 대표가 블록체인 자선 기능 등을 소개했다고 5일 밝혔다. 블록체인 기반 소셜 미디어 플랫폼 피블(PIBBLE)이 제23회 부산국제영화제(BIFF)의 부대행사로 지난 8일 개최된 ‘아시아필름마켓(Asian Film Market 2018)’의 연사로 참가했다고 10일 밝혔다. [공유경제신문 이경호 기자] 암호화폐의 첫 번째 단계는 비트코인 라이트코인 등과 같은 페이먼트 기능의 코인이 주류였다면, 두 번째는 이더리움과 에이다 같은 플랫폼 코인이 주를 이루었다. 모든 산업에서 그러하듯 플랫폼이 나온 뒤에는 다양한 서비스가 나오기 마련이다. 암호화폐 산업에서도 이러한 움직임을 보이고 있다. 서비스와 같은 특정 목적을 갖고 있어 실제 일상에서 사용될 수 있는 ‘유틸리티 토큰’이 대세가 될 것이라는 전망이 많은 이유이다. 지난 2일 시작한 블록체인 컨퍼런스 ‘후오비 카니발(Huobi Carnival)’에서 플래티넘 파트너사로 참여한 피블(Pibble)이 SNS상에서 관심을 받고 있다. 피블은 유저들에게 직접적인 보상을 제공하는 소셜 미디어 플랫폼이라는 이름에 걸맞게 소셜미디어 인플루언서들과 함께 이벤트를 진행하고 있다. 8월 2일 시작한 블록체인 컨퍼런스 ‘후오비 카니발(Huobi Carnival)’에서 파트너사로 참여한 피블에 대한 관심이 높아지고 있다. 피블은 유저들에게 직접적인 보상을 제공하는 소셜 미디어 플랫폼이다. 이번 컨퍼런스에서는 소셜미디어 인플루언서들과 함께 이벤트를 진행중이다. 피블 이보람 대표 "실생활에서 만나는 쉬운 블록체인 서비스 선보일것"
[스포츠서울 박효실기자] 암호화폐 피블의 이보람 대표가 지난 28일 아시아경제 TV ‘코인인터뷰’를 통해 “누구나 실생활에서 접할 수 있는 가장 쉬운 블록체인 서비스이자 암호화폐를 곧 만나게 될 것이다”라고 밝혔다. [스포츠서울 박효실기자] 소셜 미디어 플랫폼으로 ICO를 성공적으로 마친 피블(www.pibble.io)이 차별화 된 서비스로 눈길을 끌고 있다. [스포츠서울 박효실기자] 중국 라이브 스트리밍 업계의 거장 카오진(Jin Cao) 회장이 국내 블록체인 소셜 미디어 플랫폼 피블(PIBBLE)의 어드바이저로 합류한다. ‘블록체인계의 인스타그램’을 표방한 피블과의 시너지에 기대가 모아진다. [아이뉴스24 한수연 기자] 피블(PIBBLE)이 아시아 지역 소셜 미디어 블록체인 활성화를 위해 팬엑스재단 (FanXFoundation)과 상호업무협약(MOU)를 체결했다고 24일 밝혔다. 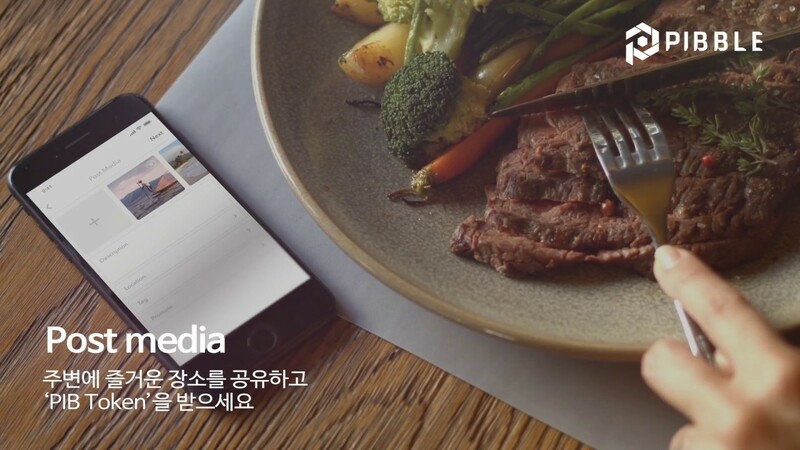 [스포츠서울 박효실기자] 블록체인계의 ‘인스타그램’을 표방한 이미지 공유 플랫폼 피블(pibble)과 글로벌 금융투자회사 위더스파트너스가 최근 파트너십을 체결했다. [에너지경제신문 이상훈 기자] 전 세계 최대 SNS(사회관계망서비스) 페이스북이 이용자들의 콘텐츠와 정보를 활용해 수익활동을 벌인 것으로 전해지면서 이를 대체할 SNS에 관심이 주목되고 있다. 특히 블록체인 기술을 결합, 콘텐츠에 정당한 가치를 부여하는 것을 특징으로 내건 스팀잇과 ‘이미지’판 스팀잇으로 거론되고 있는 ‘피블’은 성공 가능성이 높은 암호화폐로 높은 평가를 받고 있다. [에너지경제신문 이상훈 기자] 아이콘, 메디블록 등 한국 개발자들이 주축이 돼 진행하는 ICO(암호화폐공개)가 전 세계적으로 성공을 거두고 있다. 특히 프리(Pre) ICO를 끝내고 퍼블릭ICO를 준비 중인 피블은 ‘이미지 스팀잇’이라고 불리며 최근 논란이 되고 있는 페이스북 등을 대신할 차세대 SNS(사회관계망서비스)로 높은 관심을 받고 있다. [스포츠서울 김진욱기자] 블록체인 기반 이미지 암호화폐 피블(PIBBLE)의 2차 프리 ICO(암호화폐 공개)가 1분도 채 안돼 마감되며 인기를 증명했다. How can we ensure that image creators & owners are appropriately & adequately rewarded? Indie artists who are aspiring to pursue dreams of creation and develop them into careers. for everyone to earn adequate compensation & recognition for their works! who are aspiring to pursue dreams of creation and develop them into careers. Contents Pro – Image Tracking System. She is currently in charge of the new business of Kiwi Media Group and The StarAsia. As a content business partner with MBC and YG Entertainment, she did her own business and she provided copyright protection services to more than 60 newspapers through her content distribution solution. Based on her 20 years of IT experience, she is consulting on several projects that combine blockchain technology with services from existing business units. Data Scientist. He is responsible for system development at IBM Research Center in Korea. He participated in the Best Project Award of the Presidential Citation and the Best Project Member Award of the Minister of Government Administration in 2007. He was IBM's first awardee of Global OIA/OTAA award in Korea in 2017. He is a member of the Blockchain SIG and The BigData SIG. She has 15 years of experience in digital agency and gaming department in CJ E&M, also strategic planning and project managing in O2O service platform. Now, as a crypto-economist, she is in charge of tokenomics and strategic marketing. 5+ years of iOS development experience, Master's Degree in Computer Science, extensive problem solving and rapid learning skills together with incredible reliability. He is ready to make valuable contribution of my experience and skills to success of your project. Following best practices he always keep up with the latest iOS development trends, but at the same time he stay wise and look out overhyped technologies. He is a professional web developer with both backend and frontend skills and experience. He create complex web applications built on MEAN stack and also throughout my career he developed a bunch of projects using Laravel PHP framework as well as He is proficient in Python and related frameworks. She is a expert with 7 years (Native:5 years, Hybrid:2 years) of experience in iPhone/iPad, Android application development. Since 2011, She has focused on building top-notch native iOS apps, embracing new technologies, and developing great client relationships. DMM Inc., a Tokyo-based investment and marketing company, offers 38 subsidiaries and more than 40 other services, including digital content distribution. In particular, it is a large group that invests in Dentsu, Japan's fifth-largest global advertising company, and Rakuten Inc. which operates portal site Infochic and Japan's largest Internet shopping mall Rakuten. Jin Cao is the CEO and Chairman of Xiaohulu.com, a technology focused big data analytics, live streaming software and streaming video content publishing platform. Cao Jin is also the co-founder of YY Inc., a leading live streaming social media platform that delivers live contents and connects people through interest groups, and the founder of Huya Inc., a leading live game broadcasting platform. Prof. of Mastricht university Paul Iske, served as the Chief Communication Officer of ABN AMRO BANK in Netherlands, will also participate as PIBBLE Advisor. He is considered to be a master of Open Innovation and Venture Startups in the financial industry as a co-founder of Next Generation Finance. He is gearing towards a decentralized financial Ecosystem. Also a speaker, Blockchain Author and an investor. He is working on ARGO WORLD PTE LTD as a Blockchain Consulting & Advisory. Since 2014, he is chairman of the non-profit Foundation based on the blockchain.He was in CSO of ABN AMRO bank N.V. Currently, working on initiatives For Open Convenient And Fair Economic Transactions. He served as a bank examiner for the Bank of Korea for more than 10 years from 1979 to 1998. And he is the cornerstone of the industry that served as a Chief Prosecutor, a resident employee of Tokyo office, a director prosecutor, and inspector of savings bank with the birth of the Financial Supervisory Service from 1999 to 2014. Steve is Managing Partner and Founding Member of Widus Partners. Steve has advised and invested in growth and venture stage companies in Korea, Hong Kong and the US since 2008. He also has experience working as a corporate lawyer specializing in private equity investments at various law firms in Hong Kong and Korea. "Amazing company filled with passionate people." -The telegram channel has been temporarily closed by the user's obscene posts and is being recovered. - Please note that the temporary telegram room has been opened. - In the future, we will thoroughly manage the advertising materials and inappropriate posts.